You don't have to pay for a cable or streaming subscription to get great TV shows and movies on your Android smartphone. Don't believe me? We've put together a list of apps which will let you stream all kinds of content legally and for free in the US. Check it out! Hulu lets users watch premium TV shows and movies on their smartphones or tablets without paying a subscription fee. It's packed with current and classic shows, Hulu originals, movies and plenty of kids' shows, making it a perfect family tablet companion. If you want full access to the Hulu library you will need to pay $5.99 a month with limited commercials and $11.99 without commercials, but there are plenty of gems in the free version too. If you're willing to be patient then you'll be able to find some great shows for free. Crackle is a popular free app, which is updated monthly with new TV shows and movies. Created by Grouper but later bought by Sony, the app features ads which run at regular intervals throughout the content, the trade-off for which is that you get an excellent selection of media and an app that functions far better than some of the other TV service ports on the list. Crackle, like Netflix or Amazon, has picked up some original content that's getting more popular. The most famous of these is 'Comedians in Cars Getting Coffee' starring Jerry Seinfeld. It's on its eighth season and has featured some major guests like Will Ferrell, Ricky Gervais and Barack Obama. With the CBS app, you can stream as much as you want without having to verify your cable TV subscription credentials. It comes with episodes of shows like The Big Bang Theory, Criminal Minds, Elementary, The Good Wife and Two and a Half Men, plus late night hits like The Late Show with David Letterman and The Late Late Show with Craig Ferguson. I prefer free streaming apps to a cable TV subscription. With shows like America's Next Top Model, Arrow, Supernatural and The Vampire Diaries, the CW doesn't disappoint with fun content. You don't have to verify your cable TV subscription credentials, but you do have to sit through ads. All in all, this is a good app (if you like the content) that runs smoothly. The History Channel's app offers some fun reality shows like American Pickers, Gangland, Mountain Men, Ice Road Trucker and old episodes of Top Gear (which recently moved to Amazon Prime under the name The Grand Tour). The History app allows you to search shows by topic, like WWII or Ancient History, which is a neat feature. The only downside is that there are several ads shown per episode. The Android SPB TV app is not region-specific and offers content from around the world via a selection of weird and wonderful stations. From the NASA channel to Comedy for Women, this app gives you a pretty healthy mix of content. You won't find the latest Hollywood blockbuster, NBC or Showtime on SPB TV, but if you want to take a chance on a wild card, this is the app to use. A few of the stations definitely appear to be of a more adult nature (how you choose to use that information is up to you). Another excellent Anime streaming app is Crunchyroll. And this one is available through Google Play. It has a huge selection of the best anime available for free. The app is quite popular, with over ten million downloads and has gotten a decent rating. Running the app is quite simple. Just browse through your favorite shows and they will run with subtitles. The default is English so you won't have to mess with the language settings. You'll have to watch some advertisements but mostly for the premium service it offers. Basically, you can pay $4.99 so you won't have to watch Crunchyroll advertisements. 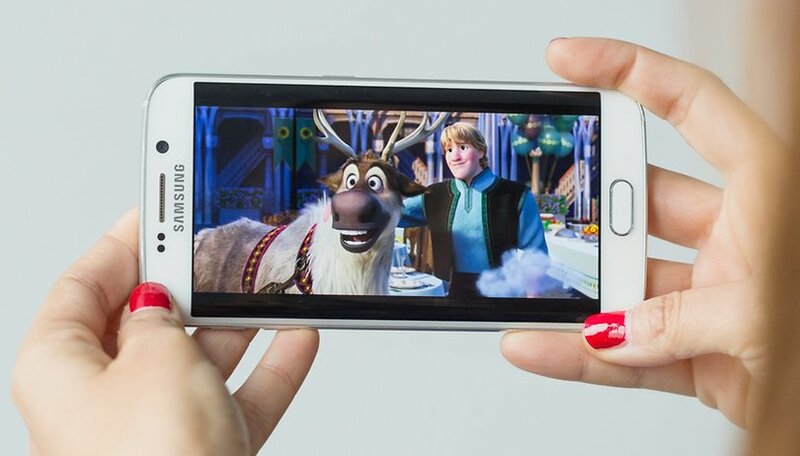 Those are just a few suggestions for how to stream free movies and TV shows on your smartphone. If you tried any of these apps, what did you think of them? Are there any of your favorite apps we've left off this list? Share them with us in the comments. I think Mobdro is also the best online TV viewing application. Watch movies, sports news, quality music and free today. MobdroPlus.com is the leading provider of this application. Quickly install and experience the latest features. Tubitv and snagfilms are good. Users in developed economies should check the local public library for increasingly good video (as well as ebook, audiobook and music) services on their taxpayer's dime, no fees. College and university students and staff should also look into what their schools make available, which can go far beyond purely educational into vintage, foreign and art film. In Toronto, a public library card entitles citizens to Kanopy and Hoopla which are both diverse and have thousands of titles. University students also get Criterion-on-Demand, with a couple of thousand classic movies. If a city library system or university fails to provide these services in the 21st Century, time to get on the barricades and demand them. If you want great internet radio streaming, try "Radio Player by Audials" in the playstore. Free, no ads, and no request for donation even. Tons of features, but best, is recording, while listening or scheduled in background. It's unbelievable that more don't know about this gem. Great UI, exceptional performance, built in equalizer, etc,etc,etc. If you hate the ads on Play Music, or TuneIn, or others, then check this one out. In my opinion this ("Radio Player by Audials") is a lame app that has never lived up to its audio stream capture promises. Every new version claims it will capture live audio streams (meaning grab the stream instantly - non real time which is what most folks want/need) then it turns around and just gives you standard real time recording off your computers audio port meaning if the song takes 6 mins you have to sit there and record the full six minutes which any basic audio recording app does for FREE so why would I get this paid app to do the same? I tried three previous purchases and finally gave up when each promising version failed again to live up to their promise of true audio stream capture. I really have no faith they will ever get their app to do what they always promise since that part of their app never works. Believe me I spent hours if not days with their tech support with no true tangible response regarding true audio stream capture. from these app i can download shows or not. Showbox is not a legal streaming/download app, it's run by Russian gangs.